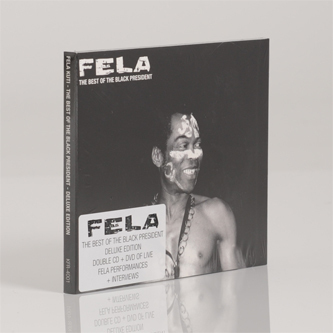 **Deluxe double CD edition with DVD of live performances, documentaries and interviews** 'The Best Of The Black President' is a rather crucial compendium of Fela Kuti's hugely influential aces, drawn from stacks of celebrated wax. For the uninitiated but intrigued listener you could hardly ask for a better introduction, spanning total classics such as 'Water Get No Enemy', 'Zombie', 'Roforofo Fight' and 'Coffin For Head Of State' alongside a DVD crammed with footage of the great man. If you don't know, get to know!